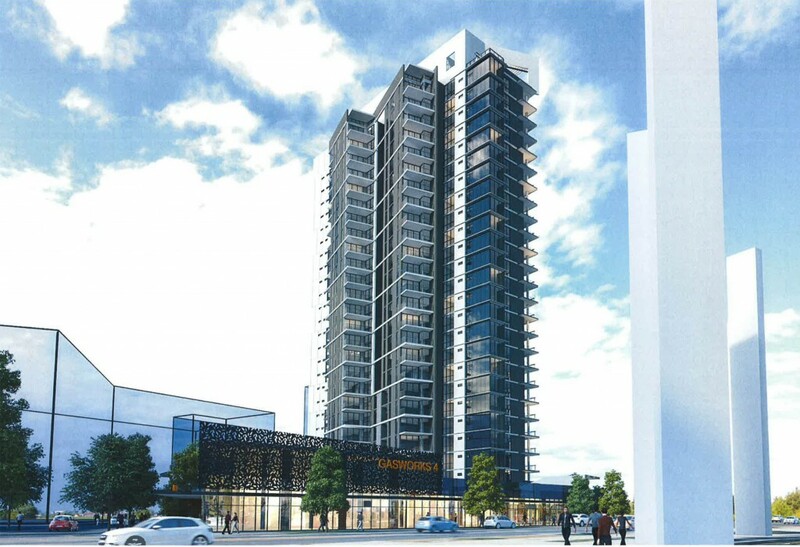 A new DA has been submitted for a 25 storey residential tower known as ‘Gasworks 4’ at 65 Skyring Tce, Newstead. 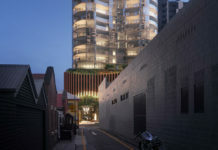 The development encompasses a whole block bordering Skyring Tce, Cunningham and Waterloo Streets. 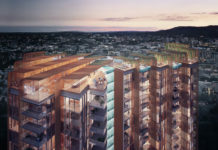 Situated next to the Energex headquarters and future Tatts Group headquarters, the project includes a rooftop pool, bbq and lounge on level 25. The DA number for this development is (A003953344). Not bad but too bland. Need something more creative. From some angles its not entirely horrible. From most of them it is. 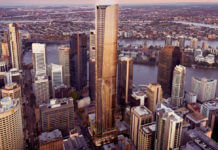 Another building with no architectural effort being built in Brisbane. 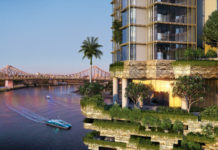 I was hoping that with all this development BCC would have upped its game and decided that Brisbane should be a world class city and demand designs that actually complement that. Instead all they do is talk and take more rate-payers money while sending jobs off shore and printing fancy booklets.